This is a picture of a 1986 Texas DPS Mustang. It's a large file so please allow a few extra seconds to load. The picture is worth the wait! 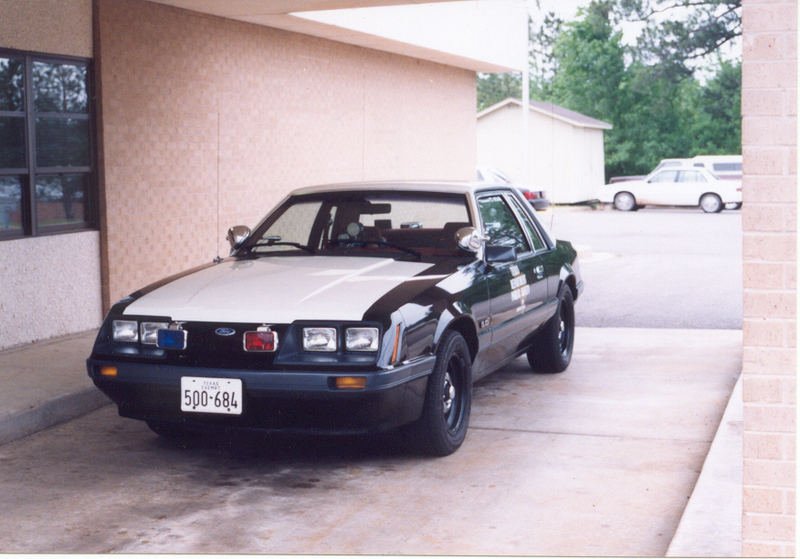 This 1986 Texas DPS Mustang is pictured at the Lufkin area DPS office in Lufkin, Texas. This unit had red interior, a 5-speed manual transmission, new for '86 fuel injected 5.0 302 V-8 high-output engine, AM/FM radio and simple red & blue alternating flashing lights on the front grill and rear deck. This was the last year that Texas DPS placed the red & blue halogen emergency lights on their fleet cars. 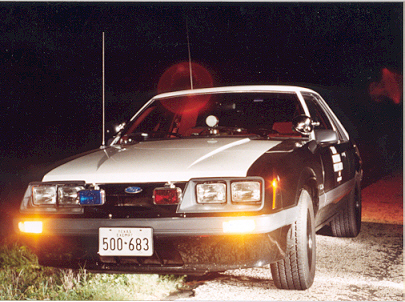 They were replaced with Tomar strobes in 1987 for better visibility at the request of many troopers across the state. Texas Highway Patrol Mustangs - The Original FAST & THE FURIOUS! 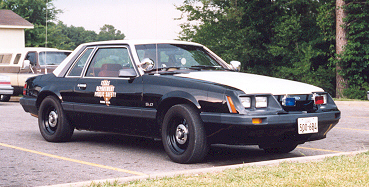 Above: 1986 Texas DPS Mustang LX police sedan. This unit was issued to and driven by Senior Trooper D.B. Dunkin, THP-Lufkin. This Mustang was parked out in front of the area DPS base office on South John Redditt Drive in Lufkin, Texas when this photo was taken. This Mustang was retired at 89,414 miles. It had a brand new engine installed just prior to being retired in July 1989. Last known location of this Mustang was the Pasadena, Texas area south of Houston. The transmission was reported stolen in 1999 so a good guess would be that it's in pieces now. Three attempts to contact the last known owner have been fruitless. 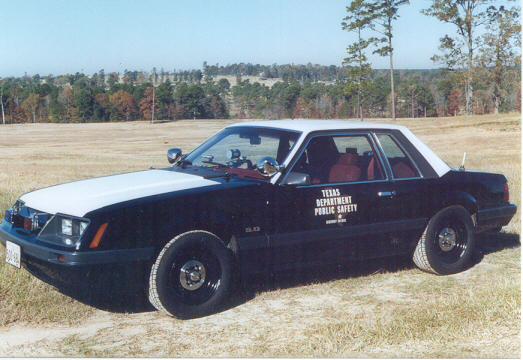 This is another picture of Trooper Dunkin's 1986 model THP unit. This picture was made on the Winston 8 Ranch property in the Redland area just north of Lufkin, Texas in early winter of 1986. Mileage on this Mustang at time of photo: 2,213. Thanks to Trooper D.B. Dunkin for sharing this picture with us! Above: A 1986 Texas Highway Patrol Ford Mustang LX used by Trooper Tom Selman in the Lufkin area. This unit also had red interior. Photo courtesy of Tom Selman.